Hi there! I love the idea of subscription boxes. I wanted to try it a few companies and see what I thought was best and what kind of different products I could discover. I started with Ipsy Glambag because it was 10$ a month… ok there is a small catch. 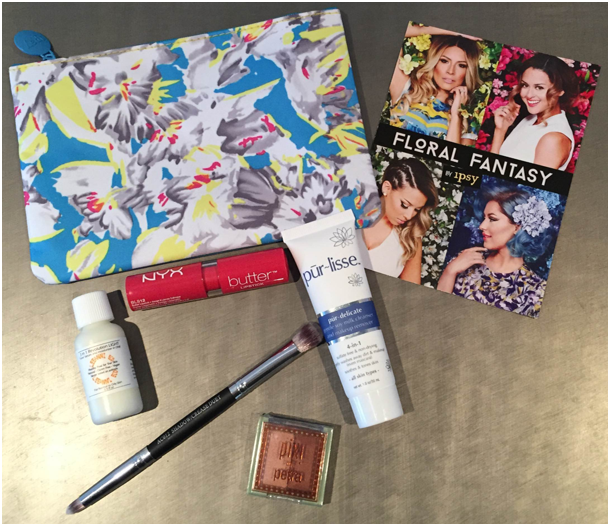 For Canadians, with the exchange rate and the shipping, this Ipsy Glambag cost me 19,20$. You get 5 samples or full size products and a makeup bag. I like the idea of getting a new makeup bag every month! There is another small catch, when you sign up, you are automatically on a waiting list. To get off the waiting list, you have two options: wait many months, always hoping it is finally your turn or send an invite to 10 girl friends on Facebook, subscribe to Instagram channels and Youtube channels. I didn’t like that I was forced to do all these steps to skip the wait. But I did them anyway because who likes to wait? I was expecting the texture to feel like a exfoliating cream, however the cleanser was very liquid. At first I thought I needed a lot to clean my face, but a little will do. I must say it works magic on mascara. I didn’t need to rub off the mascara very long, my eyes were rapidly and completely free of any trace of make up. The only thing it left my skin a little dry, but I always use a moisturizer after my cleanser. Thumb up for this one. It was my first time trying a NYX product. I have no idea where I can purchase this brand besides the internet. 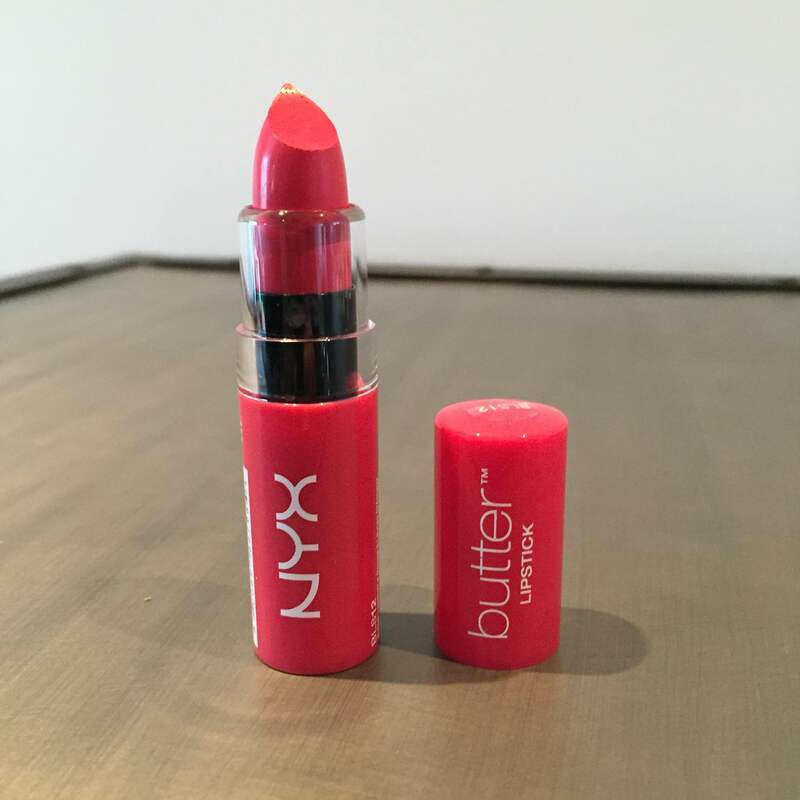 This lipstick deserves to have the word butter in the name! It is so creamy. I loved it. It is no opaque but you can add a few layers to make it darker. Warning ladies, it is NOT stained proof! 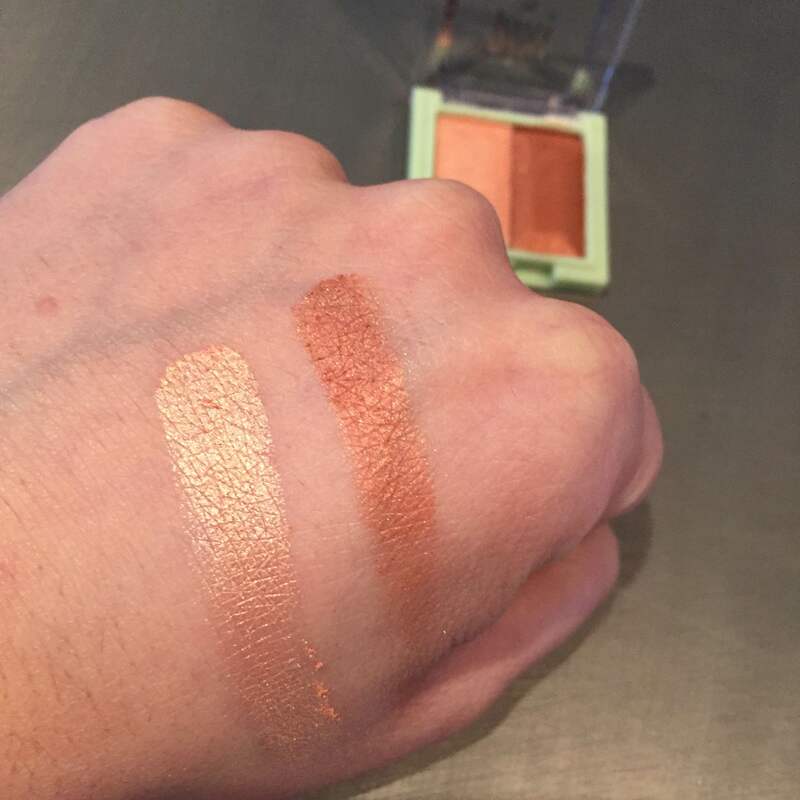 When I swatch the colors on my hand, the colors are very pretty, but when I put it on my eyes, half way through the day, it loses its pigmentation. Maybe I would have more chance with eye shadow primer or setting spray. 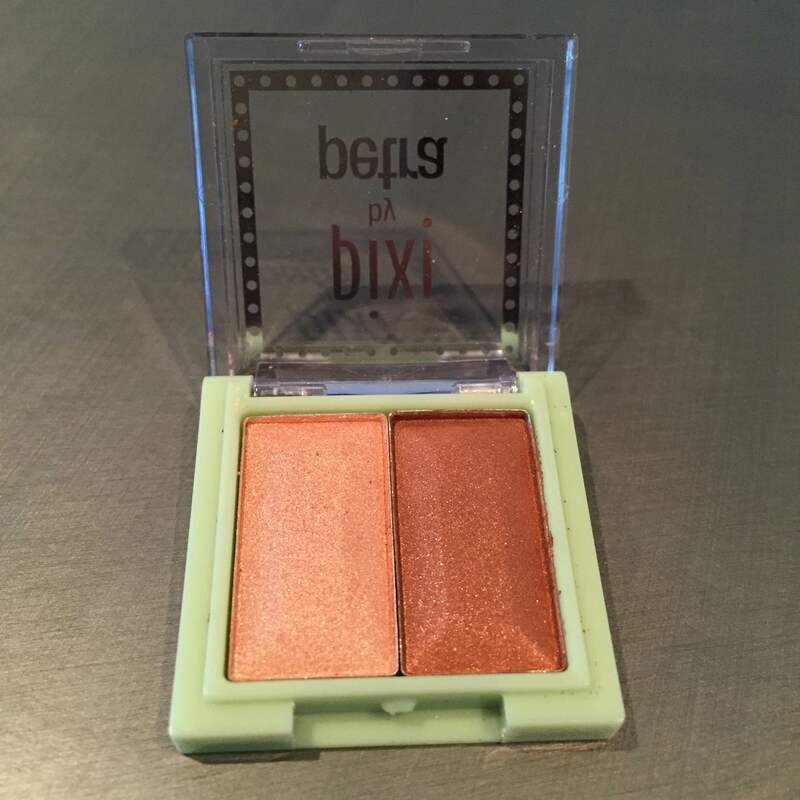 I used the brush to apply the Pixi eye shadow. 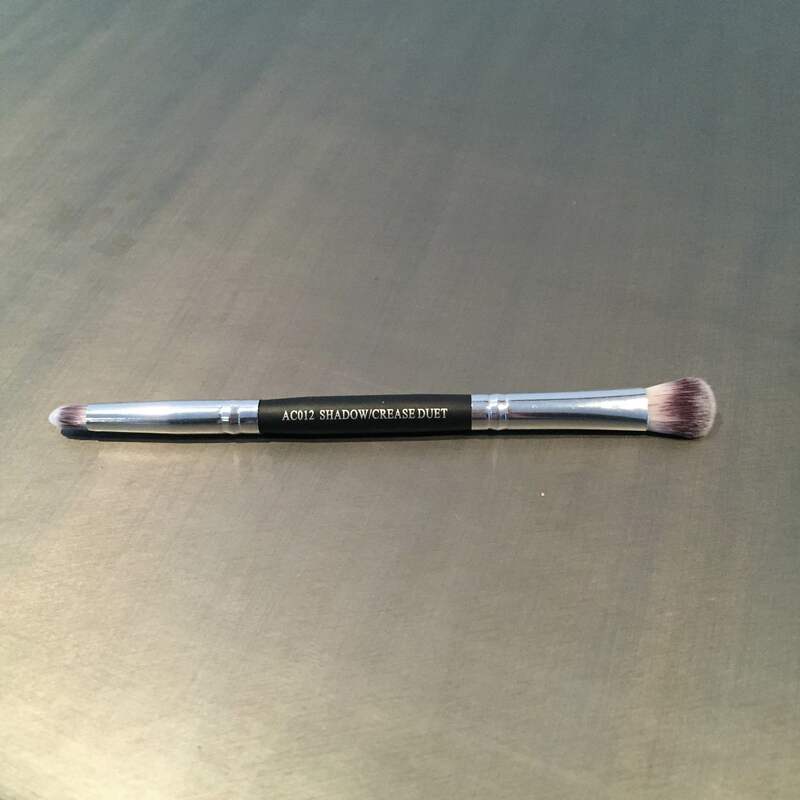 The brush was very dense, which I liked because it picks up more makeup to apply on your eye lids. The brush was very soft. It was also the first time I use a crease brush, it helps giving your look a better finish. The only thing that bothers me, I put my makeup brushes in a small vase and I don’t like when the brush is in the bottom. I feel like it could pick up some makeup that fell into the vase or squish the brush tip and ruin it. Overall thoughts: It was a good bag. 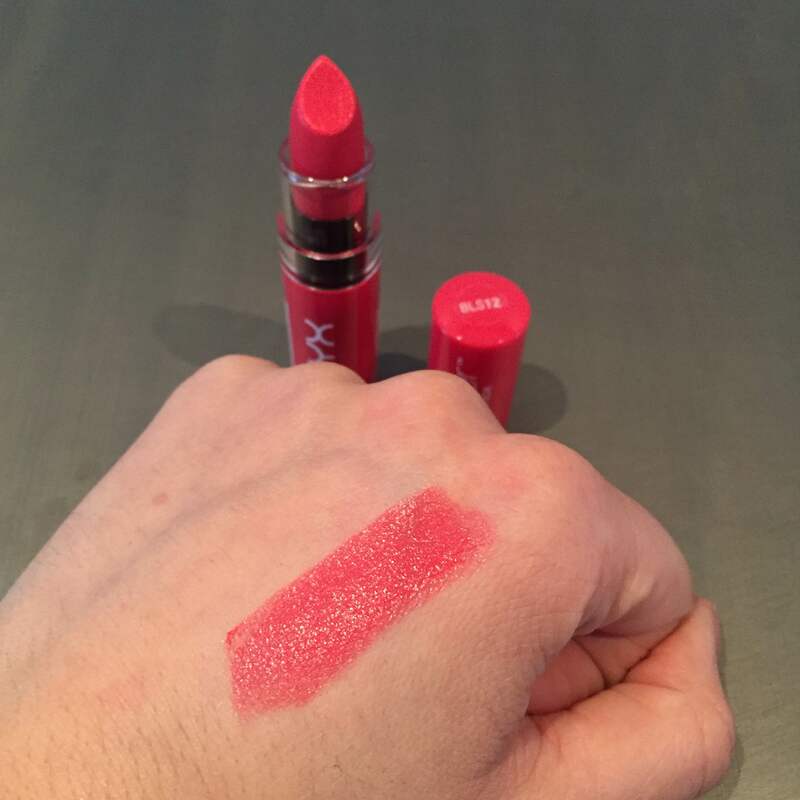 The only brand I had heard of before was NYX, so I was excited for that. 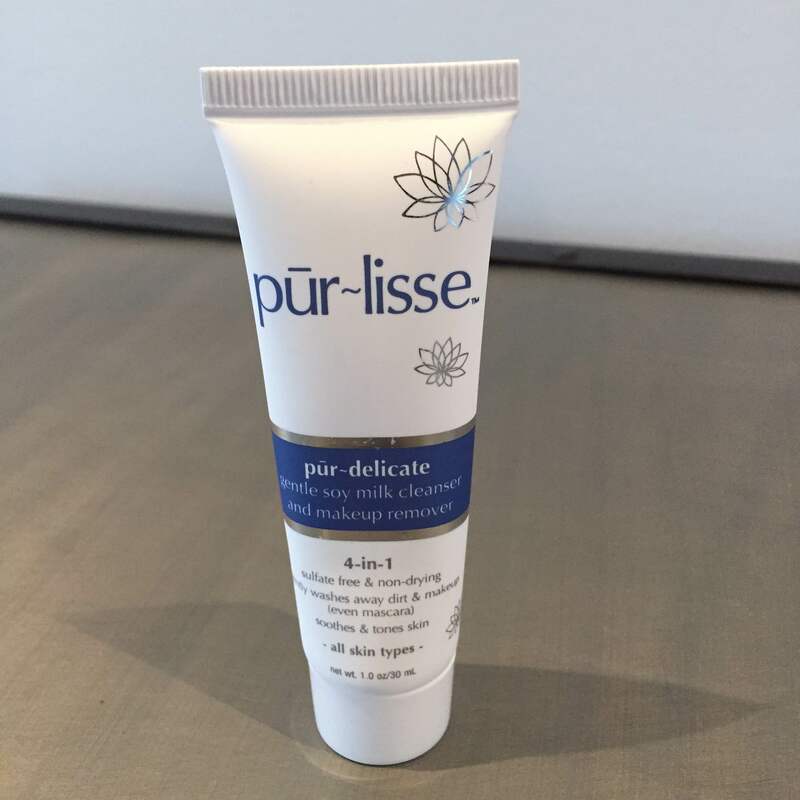 The Pūr~lisse was a good discovery for removing mascara. I think I was expecting a little bit more high-end samples, from the unboxing I had previously seen, but still a very good Glambag.